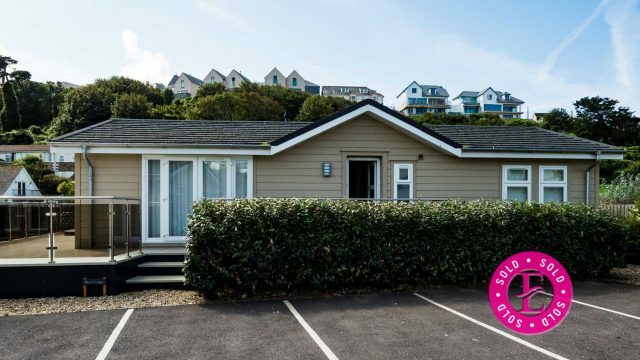 Situated in the heart of the popular surfing resort of Polzeath is a new concept in luxury holiday home lodges only sixty yards from Polzeath Beach. Designed to provide turnkey, luxury, fully fitted holiday homes on a select development of just three lodges with electric gated entrance. Bluff lodge is detached and comes fully furnished with most attractive interiors. 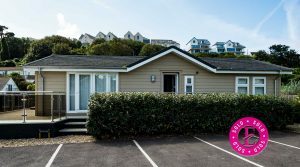 Bluff lodge has three bedrooms, two bathrooms, walk in wardrobes/dressing room, central heating, remote controlled velux windows, telephone line for broadband/wifi, two parking spaces, maintenance free gardens and Miami Hydro Pool hot tubs. An ideal investment for holiday rentals in this very sought after location. The development is securely fenced on all sides and the lodge has an elevated decked area with glass balustrades to provide an open outlook and take advantage of the sun. Bluff lodge has the benefit of its own self-cleaning hot tub designed for 6 people, a perfect way to relax after surfing or a day on the beach. With low maintenance in mind the lodge has been built with the latest weather resistant materials, galvanised steel roof tiles, metal lindap guttering and LP-side lock cladding. The lodge comes with a 10 year guarantee from 2015. Bluff lodge comes fully furnished with a most attractive feel with fully integrated kitchens comprising of high gloss coffee coloured units and butcher block effect worktop with quality wood-effect flooring in the living areas, the bathrooms and en suites and there are good quality carpets to hall and bedrooms. There is the added benefit of recessed stainless steel sockets, switches and LED lighting throughout the lodge that compliment the high-end fitted wardrobes, vanity units, and dressing room to Bedroom 1. Central heating is via radiators from a gas combi boiler, which allows the use of thermostatic showers to both the bathroom and en suite.